Therefore | Therefore | Therefore™ Software Meets GDPR Requirements! The GDPR (General Data Protection Regulation) is a regulation designed by the European Commission to create a uniform mandate for every EU/EEA member state on the protection of personal data held by an organization in the event of a data breach. 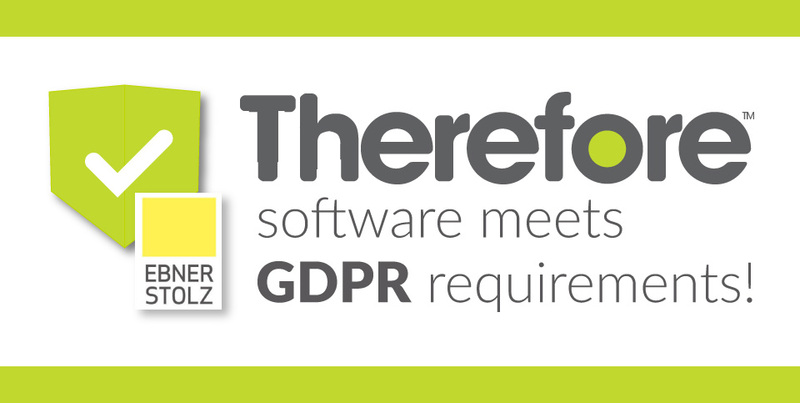 We are happy to announce that Therefore™ software has passed a rigorous data protection audit by the consulting firm Ebner Stolz, one of the largest independent mid-sized consultancies in Germany. Therefore™ software solutions have been verified and certified as following the concepts of Privacy by Design and Privacy by Default to enable an effective management of data in accordance to GDPR regulations. We’re ready to help you on your journey to GDPR compliance. Check out the resources below to learn more about Therefore™ and the GPDR! Therefore Press Release on the GDPR Audit! Also, in case you missed it, check out our blog post on the global implications of the GDPR!